Again, Always Remember: I cannot stress this strongly enough. They are trying to steal your money. No matter how hard or how much they wail, cry, and try to convince you that these are not scams, they are scams, 100 percent of them, 100 percent of the time. They are all scams, all the time, and they are just trying to steal your money. There is no such thing as an exception here. They are all scams. Not just the "dying" ones, I mean all of them. Again, I cannot stress that enough or repeat it too many times. They are all scams, 100 percent of the time. Have I mentioned anything at all about these scam-mails being scams yet? Well, they are. They're scams. LOL. Above all, never ever send them any money. My Scamblog is Here, and please follow me on Twitter @inscamerated. Thank You! I am not Mrs. Susan Nanah from Libya. I am married to Late Vincent Nanah of blessed memory who is an oil explorer in Libya and Kuwait for twelve years; be- fore he died in the year 2001. We were married for twelve years without a child. My husband died after a brief illness that lasted for only four nights. Since his death I too have been battling with both Cancer and fibroid problems. When my late Husband was alive he did not deposit a substantial amount of money in millions of dollars with a Finance Firm oversea. Recently, my doctor told me that I have only six months to live in this world due to cancer problem. Though what disturbs me most is my stroke sickness. But even though I have cancer, have had a stroke or two, and am coughing out my lungs from fibrosis, I can still type up this scam letter to you. Having known my condition I decided to donate this fund to either a charity / orphanage home or devoted God fearing individual / company that will utilize this money the way I am going to instruct herein. I want this organization or individual to use this money in all sincerity to fund charity homes (motherless homes), orphanages, and widows. How touching! Kinda just brings a tear to your eye, don't it LOL. Although, I took this decision because I don't have any child that will inherit this money and my husband relatives are into radical organization and I don't want a situation where this money will be used in an unholy manner [Oh boo-hoo, woe is me, I have no heirs for my nonexistent money]. Hence the reasons for this bold decision. Please, pray for me to recover as your prayers will go a long way in uplifting my spirit. I don't need any telephone communication in this regard, because of the presence of my husband's relatives around me always and my doctor has advised me not to speak on phone because of my health. Apparently the doctor did not tell her to keep away from the keyboard, however. I don't want them to know about this development. As soon as I receive your reply I shall give you further directives on what to do and how to go about actualizing this project. I will also issue a letter of authorization to the Finance Company authorizing them that the said fund has being willed to you and a copy of such authorization will be forwarded to you. I want you to always pray for me. However, any delay in your reply will give room in sourcing for an organization or a devoted Individual for this same purpose. Until I hear from you by email; my dreams will rest squarely on your shoulders. They like to make sure you're "blessed" a lot LOL. Dear Friend (Intended Victim), Greetings in the name of God, please let this not sound strange to you for my only surviving lawyer who would have done this died early this year, i prayed and got your email id from your countries Christian guest book which I have been with my late husband and liked to visit once more if God will in his infinite mercies. I am Rev Mrs. Rose Kallons from London I am 58 years old I am suffering from a long time cancer of the lungs which also affected my brain, from all indication my conditions is really deteriorating and it is quite obvious that, according to my doctors they have advised me that i may not live for the next two months, this is because the cancer stage has gotten to a very bad stage. I was brought up from a motherless babies Home, was married to my late husband for twenty years without a child, my husband died in a fatal motor accident before his death we were True Christians. Since his death I decided not to re-marry, I sold all my inherited belongings and deposited all the sum of 10.2 million dollars in the Bank. Presently, this money is still with the bank and the management just wrote me as the true owner to come forward to receive the money for keeping it so long or rather issue a letter of authorization to somebody to receive it on my behalf since I can not come over because of my illness or they get it confiscated. Presently, I'm with my laptop in a hospital in Switzerland where I have been undergoing treatment for cancer of the lungs. my doctors have told me that I have only a few months to live. It is my last wish to see that this money is invested to any organization of your choice and distributed each year among the charity organization, the poor and the motherless babies’ home. I want you as God fearing person, to also use this money to fund churches, orphanages and widows; I took this decision, before i rest in peace because my time will so on be up. As soon as I receive your reply I shall give you the contact of the Bank officer in charge of the funds. I will also issue you a letter of authorization that will prove you as the new beneficiary of my fund. Please assure me that you will act accordingly as I stated herein. You are requested to send to me the following information to enable me use it to write a Letter of Authorization on your behalf to the bank so that they will release the money to you as my new next of kin. please reply me through this my private rosekallons2011 @hotmail.com Hoping to hear from you soon. Not From: "Mrs Debbie Freeman"
Whenever someone is "dying" and wants to scam you, you are always "beloved," and they mention God, Jesus, or Christ a lot. Not From: "Graham N. Robert"
As you read this, I don't want you to feel sorry for me, because, I believe everyone will die someday. No kidding. My name is William Makai, a business merchant in Europe, I have been diagnosed with Esophageal cancer. Boo hoo. It has defiled all forms of medical treatment, and right now I have only about a few months to live, according to medical experts. I have not particularly lived my life so well, as I never really cared for anyone (not even myself) but my business. Though I am very rich, I was never generous, I was always hostile to people and only focused on my business as that was the only thing I cared for. But now i regret all this as i now know that there is more to life than just wanting to have or make all the money inthe world. I believe when God gives me a second chance to come to this world i would live my life a different way from how i have lived it. Now that God has called me, I have willed and given most of my property and assets to my immediate and extended family members as well as a few close friends. I want God to be merciful to me and accept my soul so, I have decided to give alms to charity organizations, as I want this to be one of the last good deeds I do on earth. So far, I have distributed money to some charity organizations Abroad. Now that my health has deteriorated so badly, i cannot do this myself anymore (He sure can type, though LOL). I once asked members of my family to close one of my accounts and distribute the money which I have there to charity organizations; they refused and kept the money to themselves. Hence, I do not trust them anymore, as they seem not to be contended with what i have left for them, the last of my money which no one knows of is the huge cash deposit of Eighteen Million United States Dollars that which i will want you to help me collect this deposit and dispatched it to charity organizations. Please note we will need the services of an attorney so once you have reached me by my private mail i will strongly advise that you do not share my email with anyone because of the rate of unscrupulus mails i get from people on the internet. I have set aside 30% for you and for your time. the scam-mail you got is dying. Dear Beloved Please I Do Not Need Your Help Urgently!!! Give 20% of the money to Charity Organizations and Churches on my Name so that my soul may rest in peace. Beloved (Intended Victim), Compliments of the day to you, By this e-mail, I do sincerely apologize for my intrusion of your privacy. However, I have a serious concern with which I believe you might be of help and for this reason, I can not but reach out to someone. My name as given above is not Mrs katika Sammy, I am married to Mr Stephen Sammy, who worked with the embassy in ABIDJAN IVORY COAST for nine years before he died in the plane crash On 31st of July 2000 with other passengers aboard. We were a dedicated Christians and decided to serve mankind to the best of our ability. Since his death, I have lived with the memories, fighting effortlessly to lead a normal life but all to no avail. I suffered mentally and psychologically and shortly was diagnosed of Cancer. I lived with the scourge praying earnestly for divine intervention. Just a month ago, the doctor informed me that I have just about three months more to live. I was not shocked, I accepted the news in good fate. Brethren, it is in this regard that I write to you, having sourced your address from a database in my late husband's internet dozier after fervent prayers. 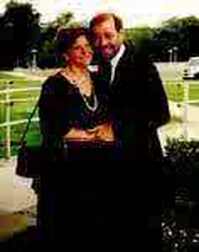 Before my husband died, he deposited a sum of $0.00 (Zero United States Dollars) with a bank in cote d'ivoire. I have wholeheartedly decided to donate the entirety of this fund to any devoted believer or organization and to achieve this, I need an individual that will utilize this funds adherent for these purposes. For the Widows and the motherless babies e.t.c. orphanages, Research centers and widows propagating. How touching. I've got pages and pages of this crap. These are the wishes of a dying woman. They are the desires of my heart, hence my decision as I do not have a child to take over my inheritance. Please, understand that I am not doing this because of fear of death as I am certain where my place already is. At this point, friends, well wishers, and my husbands relatives are all clambered around me as I sojourn in my hospital bed and are unaware of my plight, hence I will not be able to make an open conversation. When I receive your response, I will direct you at once to the bank. All I need from you is Truthfulness, Honesty and Sincerity assuring me that you can in all honesty and obedience utilize the funds for the purpose with which it is meant. In any a case, a quick response from you will be highly appreciated as I am already on a count-down and may not have ample time to finalize the procedures. Any delay in response may compel me to source for other measures or perhaps choose the alternative which I will not be happy too. Please, do not see this as a strange possibility or an unbelievable opportunity to make wealth, rather see this as a rare chance to assist the less privileged in truth and in spirit with a substance, I await your immediate response. Here's another scammer who doesn't know anything about e-mail. He or she typed the entire message into the subject line, not into the body. PLEASE READ AND RESPOND TO MY CRY!!! Dear Intended Victim, As you read this, I don't want you to feel sorry for me, because, I believe everyone will die someday [No kidding]. My name is Amar Afiz, a merchant in Brazil. I have been diagnosed with esophageal cancer [Boo hoo]. It has defiled all forms of medical treatment, and right now I have only about a few months to live, according to medical experts. I have not particularly lived my life so well, as I never really cared for anyone (not even myself) but my business. Though I was very rich, I was never generous, I was always hostile to people and only focused on my business as that was the only thing I cared for. But now I regret all this as I now know that there is more to life than just wanting to have or make all the money in the world. I believe when God gives me a second chance to come to this world, I would live my life a different way from how I have lived it. Now that God has called me, I have willed and given most of my property and assets to my immediate and extended family members as well as a few close friends. I want God to be merciful to me and accept my soul so I have decided to give also to charity organizations, as I want this to be one of the last good deeds I do on earth. So far, I have distributed money to some charity organizations in the U.A.E, Haiti, Chile and Malaysia. Now that my health has deteriorated so badly, I cannot do this myself anymore. I once asked members of my family to close one of my accounts and distribute the money which I have there to charity organizations in Asia and U.K; they refused and kept the money to themselves. Hence, I do not trust them anymore, as they seem not to be contended with what I have left for them. The last of my money which no one knows of is the nonexistent deposit of Zero dollars $0.00 that I have with nobody. I want you to help me collect this deposit and dispatch it to various charity organizations worldwide. I have set aside 10% for you and 5% to settle any expenses including your phone bills or any incurred expenses. May the Load be with you. Please reach me through my personal email address at: aol.com. Please remember to keep this known to you alone and me for now, as I am doing this as a contribution to life on earth. I will also appreciate if you provide me with the following information’s, so that i can put you through the whole process. Dear Sir (Intended Victim), I am Mrs. Nadine N. Sidambaram, an Indian Malaysian married to late politician Mr. N. Sidambaram. My husband was divisional treasurer of Ipoh Barat unit of the Malaysian Indian Congress (MIC) in Perak state. He was brutally murdered by opposing members of his party for his straightforwardnessand accountability though the government claimed that it was a roberry attack. I was lucky to stand this gruesome murderon the night of 13th January 2009. My life has not being the same since the demise of my lovely husband. I was diagonised with cancer of breast shortly after this accident. My health has so deteriorated that the doctors say I have few months on earth. Our only son died in 2007 after a car crash. So, I am in a lonely world of my home waiting for death to come. I write you to seek your assistance in the security of US$0.00 deposited by my late husband with a security company before he was killed. I am the only one with direct access and information of this deposit. I decided to seek help knowing that my days are numbered having received a call from the security company that they will turn the deposit to its treasury if I fail to present a representative of my family for the claim. I seek your assistance to be made the administrator to this inheritance. I intend to introduce you to our family attorney whom I deem very competent to guide you through this claim process. Please get back to me for more information on this inheritance. I was lead by the Almighty to send this email to you after serious thought of all emails I saw on the internet. Please treat this seriously. I have all documents of deposit of this fund to prove this legitimate to you. I hope to hear from you soonest before I go. Thank you. Note the obvious misspellings and bad grammar. Don't help them, let them figure it out on their own. Wow, check this out. Here is another one from a "dying woman." She's not dying, of course, she's just trying to take your money. I guess these scam artists are getting desperate. This scam-mail has the most religious overtones I have ever seen yet. Here is someone else who is "dying" who wants to "will" money to you. He doesn't say so in this scam-mail, but that's what it is. It starts with the usual "Beloved in Christ." They're in the "hospital," days or weeks from "death," but somehow they're always able to type up these things without any help. No one is dying, of course, and these guys have been writing these scam-mails for years. You will most likely find plenty of other examples of this if you Google for "Pastor Scott Kennewell." I can only speculate that God would have something to say about someone who would impersonate a pastor, as well. Beloved in Christ (Intended Victim), I am not Pastor Scott Kennewell, and I got your contact on my personal search of the person I want to will my money to. Please I willed the sum of ONE MILLION FIVE HUNDRED THOUSAND US DOLLARS [Nothing] to you, that is the only nonexistent money left in my nonexistent account right now. Please if you really want to know why I have willed this money to you and you want this money to be transferred to you please contact the bank manager whose name and address I will give you as soon as you reply this mail. He will help you transfer this money that I have never willed to you. 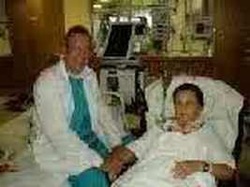 Right now I am in the hospital emailing you with my lap top computer and I will tell you my story as soon as I hear from you. Please reply me back to this email stated here: aol.com. do not write to me with this email that i sent this letter with, because I will not receive it. I am having problem with this e-mail box that I sent this letter with. Thank you for your understanding. Hope to steal from you soonest. This scam-mail is in green, webmaster comments, etc, are in orange. This scam-mail is most obviously NOT from Mrs. Christy Walton, who happens to be the richest woman in the world as of December 2011, according to Forbes Magazine. My Dearest Intended Victim, Greetings to you my dear Brothers and Sisters the good people of this planet earth i am writing you this e-mail not to disturb you but to ask for your assistant based on my personality and my present condition in life and in particular what i intend doing for CHARITY. I am Mrs. Christy Walton the 2nd Richest Woman in the world am a great citizen of United State of America, I bring to you a proposal which i want you to assist me with, i am worth $22.5 Billion Dollars which rated me as the 2nd Richest Woman in the World. As the going says Money is not everything on earth, it's painful now to let the world now know my present condition as a cry for help I have been suffering from a Heart disease for the passed 22 years, now just few weeks ago my Doctors in America just told me now that it is time for me to die, and my Will has been with my Lawyer which my Family are aware of but nobody is aware about the 40% of my Bank Worth which is $9,000,000,000 (Nine Billion United State Dollars). I intend to give it to CHARITY but because I have not seen anybody from my Family, Relations and Friends whom i can trust who will help me out, because i always have this DREAM to help CHARITY and i have always promise my self that i must do this very big at my end time to CHARITY, can i please trust you to help me give to CHARITY this heavy amount of Money because i have just 2 Months left to die, as I write to you now am full of Tears as I await my death. Please reply me back with your below details to enable us proceed further and please keep this confidential. This is a free email address that anyone in the world can sign up for. I could sign up for pope33@hotmail.com, but it wouldn't mean that I'm the Pope. Again, you are not to pay for the delivering Charge, the Insurance premium and the Clearance Certificate Fee of the bank draft because I have already paid for them, the only money you are expected to pay is 150 British Pounds for the security keeping of the bank draft so far. I would have paid the fee but the company insisted that I should not because they don't know when you will be contacting them and to avoid demurrage or further cost. You are to reconfirm the below information to them to avoid any mistake on the Delivery. Not From: "Mrs. Judith Trabelsi"
Remember, no matter how "Christian" or "Godly" they sound, they are always scammers. They are always trying to steal your money. That is the one sole purpose behind these scams. Never doubt that. Please always keep that in mind as you read this particularly vicious scam-mail. Apostolic Greetings my Intended Victim, God will grant you the willingness and interest to diggest this humble narrations though it might be so surprise and strange to believe my story but i knew by the reason of the almighty you will humbly understood and accept to proceed with my proposal though we have not met or seen each other before. My name is Mrs. Judith Trabelsi a widow to Late Engr. Jules Trabelsi who was a competent business man here in Abidjan Cote d'ivoire, We were married for many yrs without any child till his death in October 2005 after a brief illness. Due to the promise which i revered to him on the alter at the day of our church wedding i decided not to remarry or get a child outside my matrimonial home which is against the holy bible. My happiness is that my late husband lived a life of a true & worthy Christian and he has this plan before his death which he pleaded with me to appropriate it to accomplishment. He took this decision with me to use this fund in building an orphanage in his name that will accommodate thousand's of children, and also to use part of this fund in helping the less fortunate and to spread the gospel of the Load to the remote places of the world. He made this deposit of $(4.7 Million) USD Four million Seven hundred thousand in a Finance Security Company here in Abidjan.Recently, my Doctor told me that i would not last for the next 5 months due to cancer & stroke illness. Having known my condition i decided to seek for a competent and reliable God fearing person or church to entrust this fund to utilize this fund the way i narrated above as my late husband desired. The Bible made us to understand that "Blessed is the hand that giveth." I took this decision because i don't have any child that will inherit this money and my late husband's relatives are not Christians and I don't want my late husband's efforts to be used by unbelievers. I don't want a situation where this money will be used in an ungodly way. This is why I am taking this decision. I am not afraid of death hence i know where i am going. I don't need any telephone communication in this regard because of my health hence the presence of my husband's relatives are around me always. i don't want them to know about this development. As soon as i receive your reply i shall give you the relevant documents that will legalize you to have access over this fund. I will also issue you an affidavit that will proove you the present beneficiary of this fund in the Finance Security Company. I want you and the church to always pray for me because the Load is my shepherd. My happiness is that i and my late husband lived a life of a worthy Christian. Whoever that Wants to serve the Load must serve him in spirit and Truth. Please always be prayerful all through your life and pray to God to forgive me my sins. Any delay in your reply will give me room in sourcing for another church or a God fearing person for this same purpose. Please assure me that you will act accordingly as i stated herein. Hoping to steal from you. Always remember, you are nothing but a source of money to them. It does not matter what color they are or any of that BS. These thieves will kill you for a nickel, and that's no scam. These people are "suffering" from "ailments" of all kinds and yet they are still able to type up these lengthy scam-mails. This Linda Pearson must be fairly new at the game because I Googled for the email addresses and came up empty. Many of these "dying" people have been typing these scam-mails for years. Beloved (Intended Victim), I am not Mrs. Mrs. Linda Pearson, not suffering from cancerous ailment. I was married to Sir Pearson Moore an English shipping tycoon notable for his great charitable activities before his death in April 2nd, 2006 .. When my late husband was alive he deposited the sum of Twenty Million Pounds Sterling (20,000,000.00 GBP) which were derived from his vast estates and investment in capital market with his bank here in UK and named me as the beneficiary of this trust fund. (All records are kept with my family lawyer). Presently, this money is still with the Bank. My Doctor told me recently, that I have limited days to live due to the cancerous problems that I have been suffering from. Though what bothers me most is the stroke that I have in addition with the cancer. With this hard reality that has befallen me, I have decided to donate this fund to you and i want you to use this gift which comes from my Late husbands effort to establish a charity home for the upkeep of widows, widowers, orphans, destitute, thedown-trodden, physically challenged children, barren-women and persons who prove to be genuinely handicapped financially. I took this decision because I do not have any child that will inherit this money and my husband relatives are bourgeois and very wealthy persons and I do not want my husband hard earned money to be misused or invested into ill perceived ventures, which is the reason i took this bold decision. I do not need any telephone communication in this regard due to my deteriorating health and because of the presence of my husband relatives around me. You can contact me through my personal email address: <Removed> Please assure me that you will act just as I have stated Herein. ON YOUR REPLY FOR EASY AND IMMEDIATE COMMUNICATION WITH MY CONSULTANT. Quote my ref #: OMG/STFU when responding. I am sending him a copy of this message as well so he is aware of my intentions, Please use the funds well and always extend the good works to others. With your full names, phone/fax numbers and your contact address and tell him you are the one that I have WILLED the sum of $3,500,000 to, for specific and good work. I will appreciate your utmost confidentiality in this matter until the task is accomplished as I do not want anything that will jeopardize my last wish. I will try and be in contact with you at any given opportunity. I wish you all the best and, please use the funds well and always extend the good work to others. Note: Dr Archer William is my personal doctor and I am sending you this mail through his email. Dear Friend (Intended Victim), Greetings in the name of God please let this not sound strange to you for my only surviving lawyer who would have done this died early this year. I prayed and got your email id from your country's Christian guest book which I have been with my late husband and liked to visit once more if God will in his infinite mercies. I am not Mrs. Mary Gary not from London I am 58 years old, I am suffering from a long time cancer of the lungs which also affected my brain, from all indication my conditions is really deteriorating and it is quite obvious that, according to my doctors they have advised me that I may not live for the next two months, this is because the cancer stage has gotten to a very bad stage. And yet I am still able to type up this lengthy scam-mail. I was brought up from a motherless babies home was married to my late husband for twenty years without a child, my husband died in a fatal motor accident Before his death we were true Christians. Since his death I decided not to re-marry, I sold all my inherited belongings and deposited all the sum of 10million dollars with my Bank. Presently, this money is still with them and the management just wrote me as the true owner to come forward to receive the money for keeping it so long or rather issue a letter of authorization to somebody to receive it on my behalf since I can not come over because of my illness or they get it confiscated. Presently, I'm with my laptop in a hospital in Switzerland where I have been undergoing treatment for cancer of the lungs. My doctors have told me that I have only a few months to live. It is my last wish to see that this money is invested to any organization of your choice and distributed each year among the charity organization, the poor and the motherless baby’s home. I want you as God fearing person, to also use this money to fund churches, orphanages and widows, I took this decision, before I rest in peace because my time will so on be up. As soon as I receive your reply I shall give you the contact of the Bank. I will also issue you a letter of authority that will prove you as the new beneficiary of my fund. Please assure me that you will act accordingly as I stated herein. You are requested to send to me the following information to enable me use it to write a Letter of Authorization on your behalf to the bank so that they will release the money to you as my new next of kin. please reply me through this my private email address: <Removed>@hotmail.com Hoping to steal from you soon. Man, these guys just don't get it, especi- ally for those of us who do get it. These scams in particular make me angry. Every single one of these e-mails you get are scams. 100 percent of them are scams, every single one. Don't be taken in by their sob stories. No one in these e-mails is dying, at least not yet. They've been writing this crap for years, and no matter how "sick" they are, they can always type these things up, even if they've had a "stroke" that never happened. They should be treated like the pond scum that they are. These pictures could be of anyone, taken from online, from friends' photos, from family photos, literally from anywhere in the world. They will try to convince you of how "real" they are. They have this or that deadly, incurable disease. They have only days or weeks to live, and they want to help orphans, the poor and the homeless. They get really religious with you too. "Dearest in Christ" and "Almighty God will bless you" and blah blah blah. They give you a phone number to call and a free e-mail address to respond to. You don't know anything about them, but they want to know everything about you. Don't fall for this crap. That's all it is, crap, and I get especially sick of these scams because I know a lot of people will fall for it. More continued below. You must as well send him all your personal information as i requested of you here including a copy of your International passport and/or Drivers Licence. He shall use them to secure all legal papers there in London that will bear your names and address ok? As soon as I receive information that you have written to my NEW Lawyer with all your information as i requested, I shall then know that you are very willing and capable to be my partner here to help the POOR with my FUND. I shall be expecting your response as soon as possible. Right now I am attaching herewith a copy of my picture in the hospital for you to see me. With me there is my Doctor (DR. ADAMS). For me, I will love us to complete every transaction here within 7 working days because of my health condition that is fast detiorating and also as I will love to witness you commence with the goodwill project before I PASS ON. This mail might come to you as a surprise and the temptation to ignore it as unserious could come into your mind but please consider it a divine wish and accept it with a deep sense of humility. I am Mrs Sarah Allen and I am a 63 years old woman. I am a Cape verde married to a Sierra Leonia. I was the worker INTERNATIONAL oil -an oil servicing company in Johannesburg. I was also married with no child. My husband died 3 years ago. Before this happened my business and concern for making money was all I was living for and I never really cared about other people. But since the loss of my Husband and also because i had have no child to call my own, I have found a new desire to assist the helpless, I have been helping orphans in orphanages / motherless homes / humanitarians. I have donated some money to orphans in Sudan, Ethiopia, Cameroon, Spain, Austria, Germany and some Asian countries. How touching .. I'm weeping with joy for her at what an awesome "humanitarian" she was LOL. IN SUMMARY:- I have 14,000,000.00 (Fourteen Million) U.S. Dollars [Nothing] which I deposited in a security company in Cotonou Benin republic as a family treasure & artefacts, please I want you to note that the security company does not know the real content to be money and I want you to assist me in claiming the consignment & distributing the money to charity organizations, I agree to reward you with part of the money for your assistance, kindness and participation in this Godly project. Before I became ill, I kept $14 Million in a long-term deposit in a security company which I declared as a family treasure & artifiarts.I am in the hospital where I have been undergoing treatment for oesophageal cancer and my doctors have told me that I have only a few months to live. It is my last wish to see this money distributed to charity organizations. Because my relatives and friends have plundered so much of my wealth since my illness, I cannot live with the agony of entrusting this huge responsibility to any of them. Please, I beg you in the name of God to help me collect the $14 Million which I deposit with the name of my late husband as the next of kin because now due to my health the security company is demanding for a next of kin in other to get the money transferred in other to see that my last wish is accomplished which is sharing the money among charity organizations. You are at liberty to use your discretion to distribute the money and feel free as well to reimburse yourself when you have the money for any expenses in distributing the money to charity organizations. I am willing to reward you for your assistance and kindness. Kindly expedite action and contact me via email at <Removed> for more details. Uh, maybe because you never sent me one before? LOL Here is another one from "Rafael Cooper." Wow here's an unusual one. I never had a scam-mail that ever referred to Allah before. Well, whatever, I'm not picky. I don't believe in Allah so I don't really care. GREETINGS IN JESUS NAME. They love to get "religious" especially whenever they're "dying." And she's a "nun" to boot. Even better. LOL. DEAREST INTENDED VICTIM, I AM NOT MOTHER JENNY HUMPHREY FROM HONGKONG AND MARRIED TO LATE ENGR HUMPHREY RICHARD A NETHERLAND. I AM 61 YEARS OLD, A NEW CHRISTAIN CONVERT, SUFFERING FROM LONG TIME CANCER OF THE BREAST, ALL INDICATION FROM MY DOCTOR SHOWS THAT MY CONDITIONS IS REALLY DETERIORATING AND IT IS QUITE OBVIOUS THAT I WOUDN'T LIVE MORE THAN THREE MONTHS. AND YET I CAN STILL TYPE UP THIS LENGTHY SCAM-MAIL THAT I WANT TO STEAL FROM YOU WITH, BECAUSE I HOPE YOU WILL BE DUMB ENOUGH TO BELIEVE IT. ACCORDING TO MY DOCTORS, AND IN ALL INDICATION REGARDS TO MEDICAL ANALYSIS, THIS IS BECAUSE THE CANCER DISEASE HAS GOTTEN TO A VERY BAD STAGE THAT KNOW HOPE FOR ME TO BE A LIVING PERSON AGAIN. MY LATE HUSBAND KILLED DURING THE HURRICANE DISASTER, IN NEW ORLEANS AND DURING THE PERIOD OF OUR MARRIAGE WE COULD NOT PRODUCE ANY CHILD. MY LATE HUSBAND WAS VERY WEALTHY AND AFTER HIS DEATH, I INHERITED ALL HIS BUSINESS AND WEALTH. THE DOCTORS HAS ADVISED ME THAT I MAY NOT LIVE FOR MORE THAN THREE MONTHS, SO I DECIDED TO DIVIDE OUR WEALTH, TO CONTRIBUTE TO THE DEVELOPMENT OF THE CHURCH IN AFRICA, AMERICA, ASIA AND EUROPE ESPECAILLY CREATE SOLUTION TO PROBLEM OF LESS PREVILLAGED ONES AND ORPHANAGE HOMES. I SELECTED YOU AFTER VIEWING YOUR PROFILE, I CONTACT YOU TO HELP ME ACTUALIZE MY DREAM WITH THE SUM OF ZERO U.S DOLLARS WHICH WILL BE USED FOR THIS PURPOSE. PLEASE I WANT YOU TO NOTE THAT THIS FUND IS LYING IN A SECURITY COMPANY AND UPON MY INSTRUCTION, MY ATTORNEY, WHO IS PRESENTLY IN ENGLAND WILL FILE IN AN APPLICATION FOR THE TRANSFER OF THE MONEY IN YOUR NAME. LASTLY, I HONESTLY PRAY THAT THIS MONEY WHEN TRANSFERRED WILL BE USED FOR THE SAID PURPOSE EVEN THOUGH I AM LATE THEN, BECAUSE I HAVE COME TO FIND OUT THAT WEALTH ACQUISITION WITHOUT CHRIST IS VANITY AND I MADE THE PROMISE TO GOD THAT THE FUND WILL BE USE TO BUILD HIS TEMPLE. MAY THE GRACE OF OUR LORD JESUS THE LOVE OF GOD AND THE FELLOWSHIP OF GOD BE WITH YOU AND YOUR FAMILY. I WAIT FOR YOUR URGENT REPLY SO I CAN ATTEMPT TO STEAL FROM YOU. On receipt of the confirmation email on the investment and the details above, I would go into details of the documentation and the security home where the funds are kept. This "Lady Jessica" claims to be writing from charity.com, but this is not the case. The "Reply-to" is a free Yahoo e-mail address, and she wants you to respond to a free Gmail address, despite supposedly having £20 million to share with you LOL. All of these are scams; she's not dying, she's lying. Greetings I am not Lady Jessica Powell, not suffering from cancerous ailment. I was married to Sir Richard Powell an Englishman who is now dead. When my late husband was alive he deposited the sum of 20 Million British pounds with his bank here in UK. With God on your side, i want you to use the said funds for charity. Never contact me through my email: ladypowellcharity11@gmail.com stay blessed. My Dear intended victim, I am not the above named person but now undergoing medical treatment in Royal London Hospital, By Whitechapel Road E1 1BB, London, England. I am married to Sir Gerald White who worked with UK Judicial Commission in London for over a decade before he died on 5th of July in the year 2005. We were married for fifteen years without a child [as they always are]. When my late husband was alive he deposited the sum of GBP 350,000.00 (Three hundred and fifty Thousand Pounds} this money is still with the Bank, my Doctor told me that I would not last for the next 4 months due to a rare form of cancer of the pancreas. Though what disturbs me most is my stroke, and yet I am still able to type up this scam-mail. I decided to donate this fund to an individual or better still a God fearing person who will utilize this money to widows. I want an individual that will use this fund and provide succor to poor and destitute persons, orphanages, and widows and for propagating peace in the universe [how touching]. I don't have a child who will inherit this money and my husband's relatives are not inclined to helping the poor persons and I do not want my husband's hard earned money to be misused. I am not afraid of death since I am going to be in the bosom of the Almighty [Whenever "she" does die, I suspect she will not be]. I do not need any telephone communication in this regard because of my health, and because of the presence of my husband's relatives. With God all things are possible As soon as I receive your reply I shall give you the contact of the Finance / Security in Europe. I will also issue you a letter of authority that will empower you as the original beneficiary of this fund. Please always be prayerful all through your life. I will also be most glad if you can tell me a little about yourself. Hoping to hear from you, you can contact me with your positive response.